With the official release of The Avengers 4 trailer, not only is the title officially revealed but also the new release date. 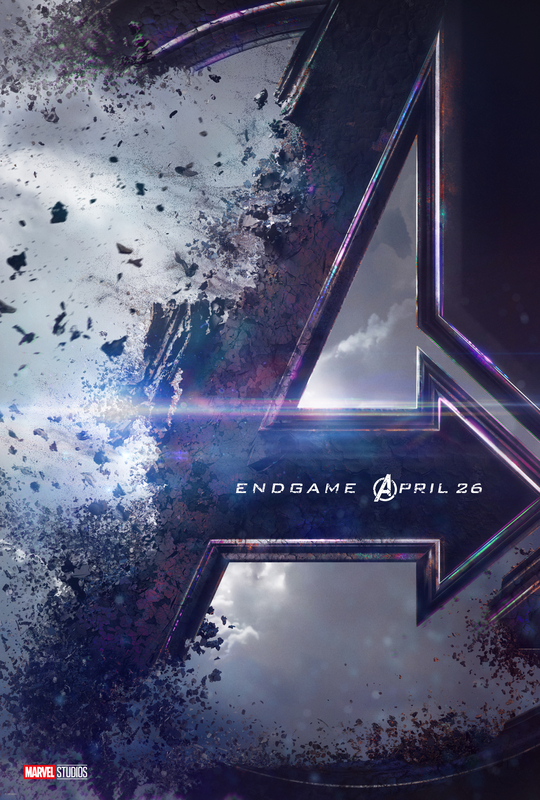 Marvel also confirms the release date in the first The Avengers: Endgame poster as the film moves up a week to April 26, 2019 from a previous May 3, 2019 release. The April 26 release date now is in line with the rest of the world, so we see spoilers will be avoided. The Avengers: Infinity War also saw its release date moved up a week when it was released earlier this year as well. The Avengers: Endgame is directed by Joe and Anthony Russo and stars Robert Downey Jr., Josh Brolin, Chris Evans, Chris Hemsworth, Scarlett Johansson, Mark Ruffalo, Jeremy Renner, Karen Gillan, Bradley Cooper, Chris Pratt, Zoe Saldana, Dave Bautista, Tom Holland, Benedict Cumberbatch, Paul Rudd, Evangeline Lilly, Sebastian Stan, Chadwick Boseman, Don Cheadle, Danai Gurira, Letitia Wright and Brie Larson. ← PREVIOUS ARTICLEAvengers 4 Title Revealed: Russos Come Through!